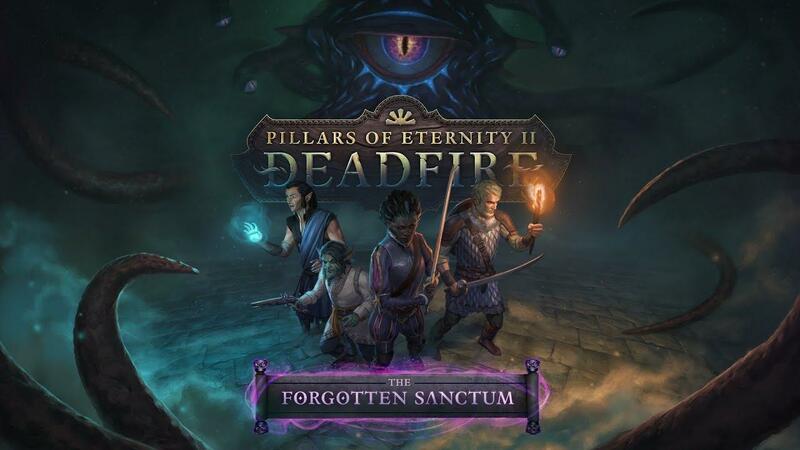 Pillars of Eternity II: Deadfire expansions come to a close with the release of The Forgotten Sanctum along with a major update now out. For the update, Obsidian Entertainment have attempted to make the game a little more interesting. Ships will respawn when the captain is defeated now, which should keep the seas interesting. They said not all will respawn but enough for each faction to have a presence. There's also two new mega-bosses to defeat, 11 new sub-classes for your characters along with plenty of adjustments. Full notes can be found here. Seems it has been a hit with user who've played it. On Steam, it's sat pretty with a "Very Positive" rating. You can also see our thoughts on the game from BTRE here with expanded thoughts here. For such a big and ambitious RPG, it doesn't seem to have sold too well though. It has less than 3K reviews on Steam and probably one of the reasons Obsidian joined Microsoft to not worry about money. You can find Pillars of Eternity II: Deadfire and the DLC on GOG (34% off right now) Humble Store and Steam. Wael - All numerical data for characters, spells, and items and more are hidden! This excludes Item Counts and Party Member Attributes, Skills, and Levels. Can you enable them in an ongoing game or how does it work? buenaventura Can you enable them in an ongoing game or how does it work? I'd pick it up but I don't get through single-player games very quickly, thus I haven't even started the first PoE. I do own that one, though. Ah! too bad, I dont think I wanna start all over Thanks for the answer anyway!